Here are some things you should take into consideration before selecting a new financial institution. Financial Soundness - Find out a little more about the institution you are interested in joining. How long have they been around? Are they insured by either the NCUA or FDIC? Fees – Do some research to find out what types of fees any potential financial institution may have. 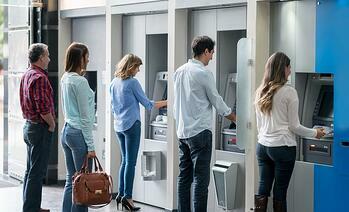 Some places may charge monthly fees on checking accounts, per check fees, ATM fees, and more. You don’t want this to be a surprise down the line. Interest Rates – The amount of interest you will receive on your savings account are dependent on the institution. Some places, like Cyprus Credit Union, even offer interest rates on checking accounts as well. You also need to take the interest of credit cards and loans into account. Credit Unions normally have lower interest rates because they are member owned and not for profit. Products – You may use your bank or credit union for more than just a savings or checking account. If you’re interested in receiving a loan or mortgage down the line, look at what products are offered with each place and determine what will fit your needs, both now and in the future. Online Banking – What kinds of online banking resources does your institution offer? Make sure that whatever features you use the most, such as transferring money, are free or within your means. Finally, you’ll need to decide if you want to join a bank or a credit union. You can find out more about the differences between the two HERE. If you are interested in becoming a member at Cyprus Credit Union, it’s super easy to join. All you need is $5 to open a savings account with us. Stop by any of our branch locations or visit our website today.